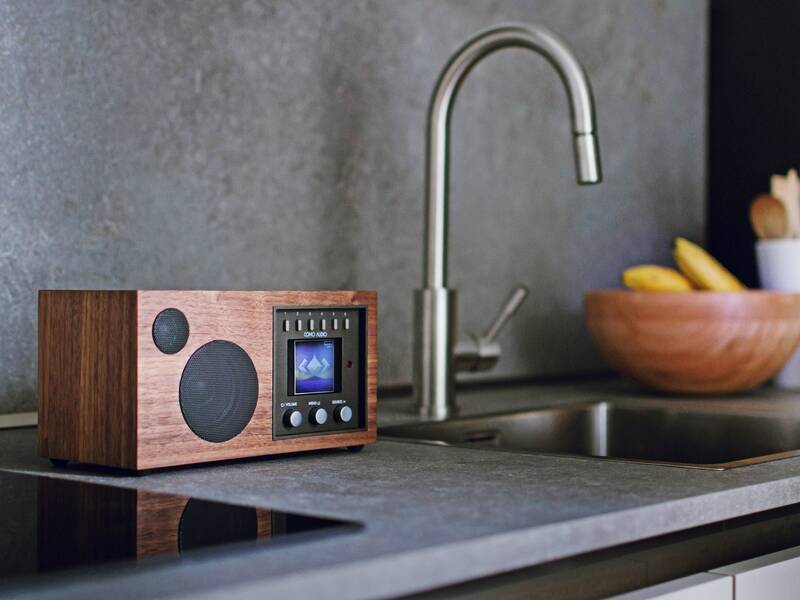 Wired review of the Como Audio Solo Internet Radio says it's good but not great. At $300, this radio is produced by the former Tivoli people. Not surprising when you compare the styling cues to some Tivoli models. Horrible news about my Tangent Quattro radios. Both of them stopped working----I did manage to get one working again. For some reason, the displays were just showing a row of black boxes and no matter what I did with the power button, I couldn't get the radios to turn on. Tried connecting/disconnecting power and still nothing. Left them unplugged and the next day, plugged them back in. One started working again. The other----still----even after repeated attempts, just a row of black boxes on the display panel and no power or display to navigate. I guess the power is on because the little black boxes show up----but I can not get the radio to respond. CCrane (where I bought them) doesn't sell them any more-----they told me to ask Tangent in Denmark. Tangent told me all I could do is what I'm doing----unplug, replug and hope for the best. These originally retailed for $350.00 each. I think I paid about $200.00 each. They are a few years old, but very few hours of use. Really disappointing. What a shame. So much of electronics these days dies in a year or two. I've read enough reviews of percolators on Amazon to conclude that the thermostat heating elements die in about a year whereas vintage percolators from Sunbeam, GE, Universal, and Faberware from the 1940s-70s last 100 years. A similar analogy in the radio world. Yep. When I got married, one of the items on our registry was a percolator. It wasn't cheap----I think it was a Delonghi. Lasted about a year before it crapped out. Found a replacement at a church rummage sale---an old one, probably from the 1960s or '70s, that continues to work well. You can buy brand new or rather never used Farberware percolators for about 80. I just bought one. They're from the 70s and early 80s and all the parts are American-made. They last forever. Due to reception (noise problems) where I live, I ended up selling my kenwood R1000 the other day. As it turns out, the fellow that bought it was actually purchasing it for his kid's buddy. His youngster got an R1000 a few weeks ago and loves DXing and when his little buddy saw and heard he wanted one too. So folks, there's still life in this little hobby of ours. It's been a while since I've been on here and a while since I've been able to do any listening, but I still check Craigs everyday looking for some vintage beauty. For now I satisfy my radio crave by listening to all the free readily available Radio drama on line. I've just finished up almost 400 episodes of Gunsmoke. Fantastic!! For you scifi fans, X minus One is off the charts good. Full cast, great sound effects, absolutely wonderful. Listen to the one entitled "Time and Time Again". You will become addicted. Anyway, let's keep this thread alive. I know there's tons of Radio junkies out there like me.